When MercyMe lead singer Bart Millard talks about the band’s latest album, Welcome to the New, it’s with the passion of an artist rejuvenated and reborn. He’s proud of the lively, spirited rock vibe that drives many of the 10 tracks. He’s still basking in the glow of the recording sessions, where he and his bandmates left their comfort zone and stretched the boundaries of the MercyMe sound. But when he talks about the overarching theme of Welcome To The New (Fair Trade) Millard gets especially fervent. And here’s why: “New” is the fruit of his real-life embrace of grace. It all adds up to a musical, lyrical and spiritual turning point—that most rare of trifectas for a beloved veteran act that’s been at it since 1994, and has four gold albums and a platinum disc to its credit. “If there was one song that musically and spiritually represents the place where we are, the grace message of joy, ‘Greater’ is it,” Millard notes. Millard is quick to praise his longtime bandmates for their willingness to explore and expand (Nathan Cochran on bass; Michael John Scheuchzer and Barry Graul on guitars; and Robin Troy "Robby" Shaffer on drums). 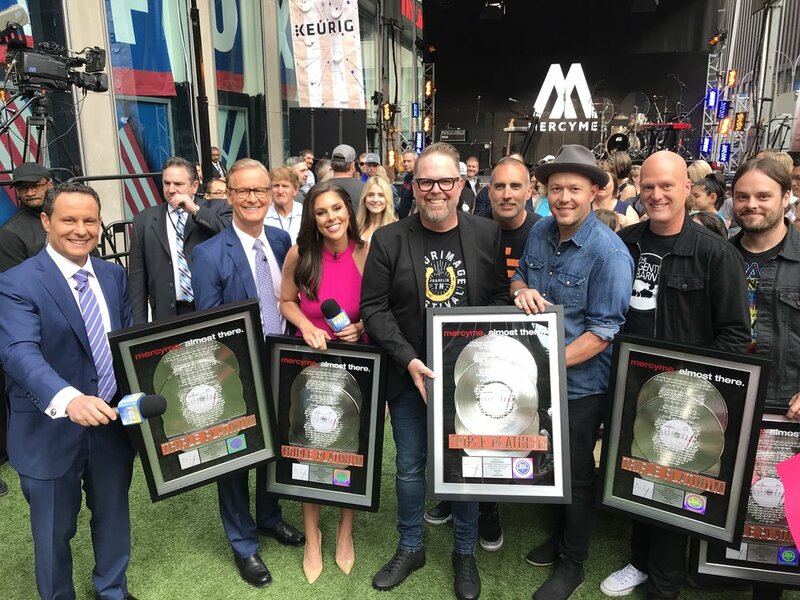 But he also singles out producers David Garcia and Ben Glover as vital to helping MercyMe find the footing that helps “New” more than live up to its title. And stretch they did. While the Nashville studio settings were certainly familiar (Ocean Way on Music Row and Dark Horse Studios in Franklin), the process certainly wasn’t for Millard and company. That’s apt considering that Millard feels, by his own admission, akin to a spiritual beginner these days. That relentless drive almost finished the band as well. Burned out from giving so much of his life and energy to MercyMe, and feeling as though he fell short somehow, Millard was ready to turn in his resignation and “go work at a Home Depot or something.” That’s when an old friend—a youth pastor from the first church camp MercyMe played 20 years ago—popped back into his life with a most unexpected message.